First off, thank you for downloading my new Matcha Guide! I am so glad you guys are enjoying it. Don't forget to tag your matcha photos with #matchachallenge if you take a taste into the world of matcha, and share on social media. And today, I woke up, looked at the "December 1st" on my iPhone and simply HAD to bake some Christmas cookies while listening to holiday music. And yes, it was glorious. I might even have a cup of cocoa this afternoon. 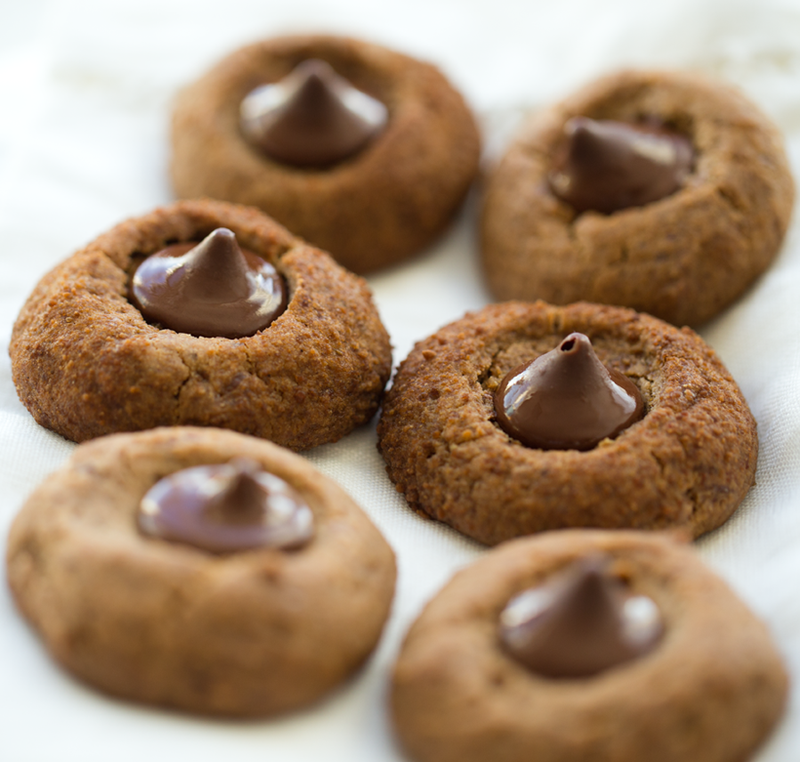 So in the name of the holiday season, turn up the cozy in your house, these cookies can definitely help..
Vegan Kisses. 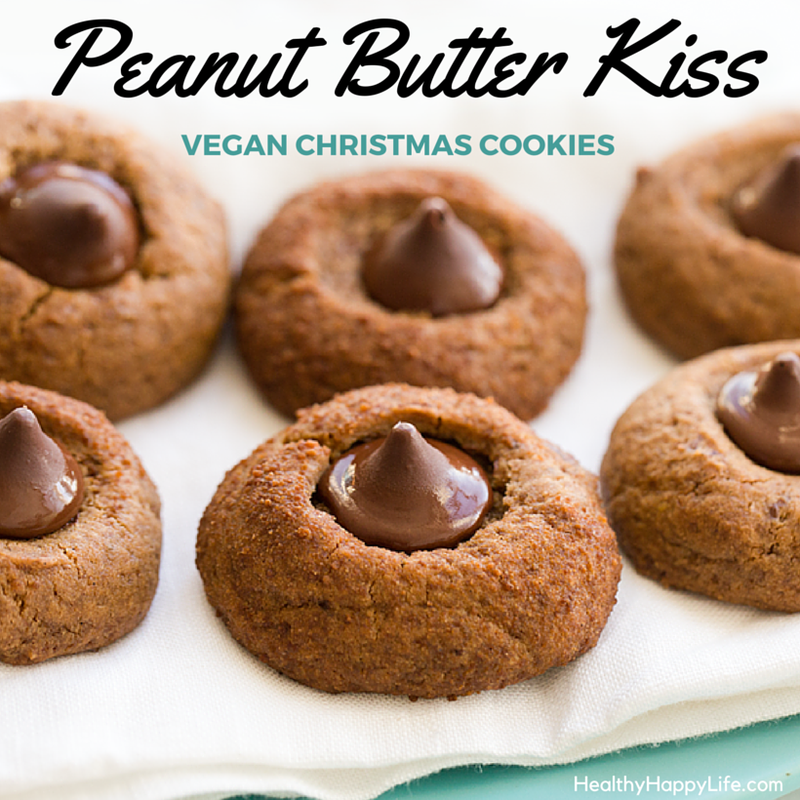 So, where did I get my vegan kisses? I made them! You can find the candy molds online. Here on ebay. 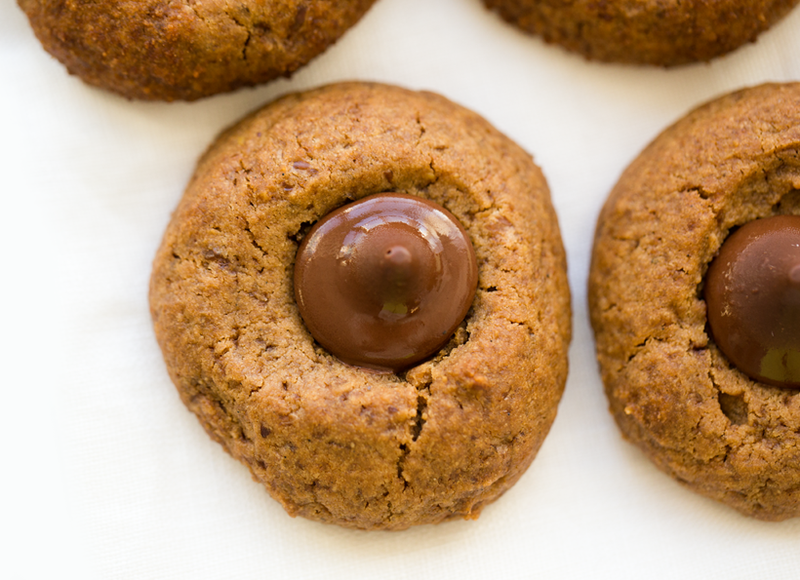 Buttery peanut butter cookies coated in coconut sugar, accented with vanilla and flax and a rich vegan chocolate on top. 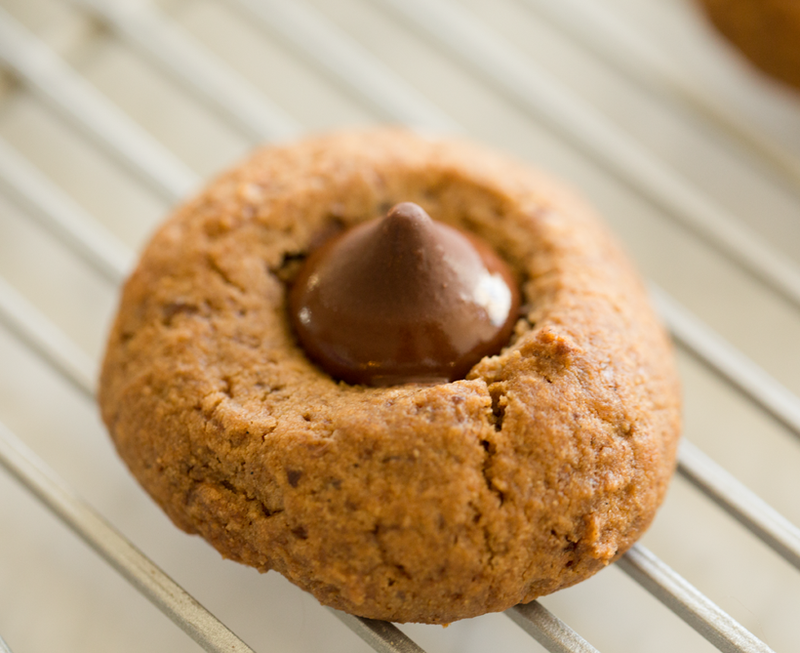 If you do not have "kisses" you can use chocolate chips, chunks of vegan chocolate bars or simply leave off the chocolate! 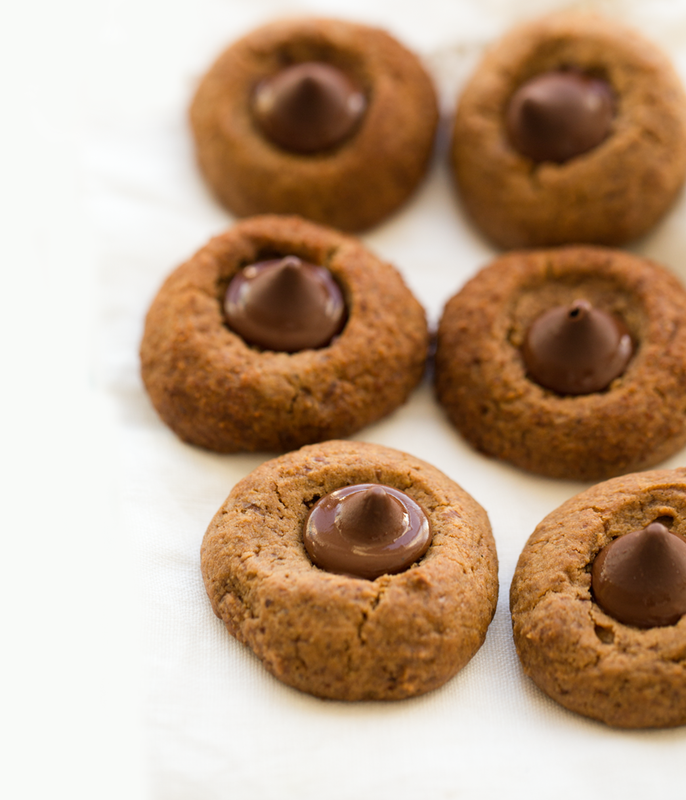 Bring these to a holiday party and watch them disappear! 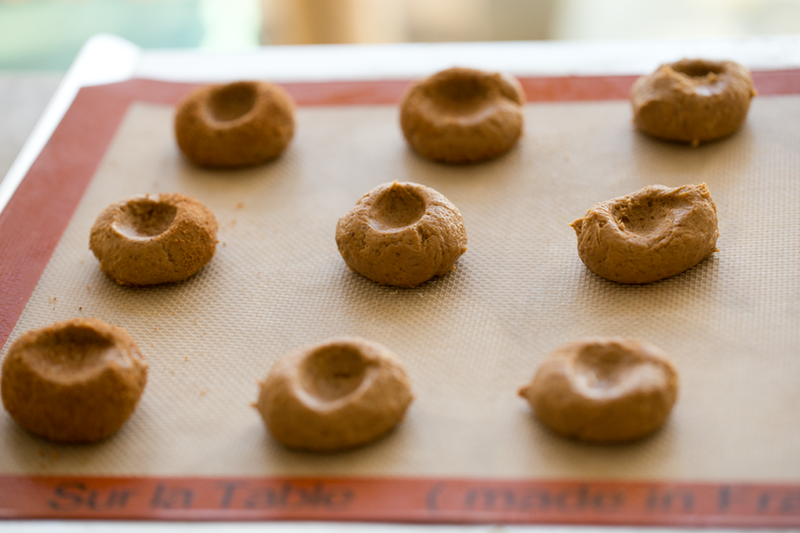 Rolling cookies in coconut sugar will add a brownish hue to them. 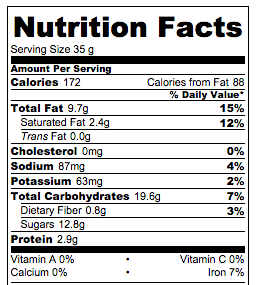 You can roll in white sugar (organic will be vegan) or skip the added sugar. The flax seeds also add a brownish tint. For a smoother texture ground your flax seeds VERY fine. 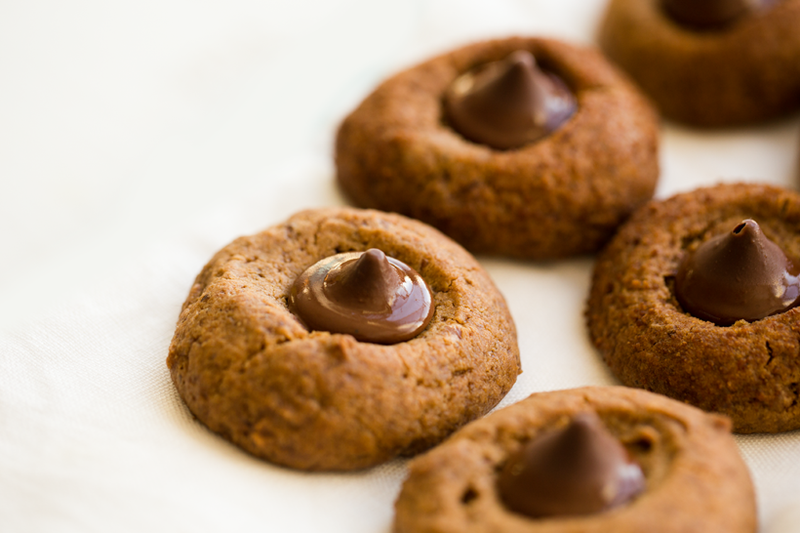 And lastly, the molasses, which adds a caramel-y accent, also darkens the cookies a bit. This ingredient is optional. 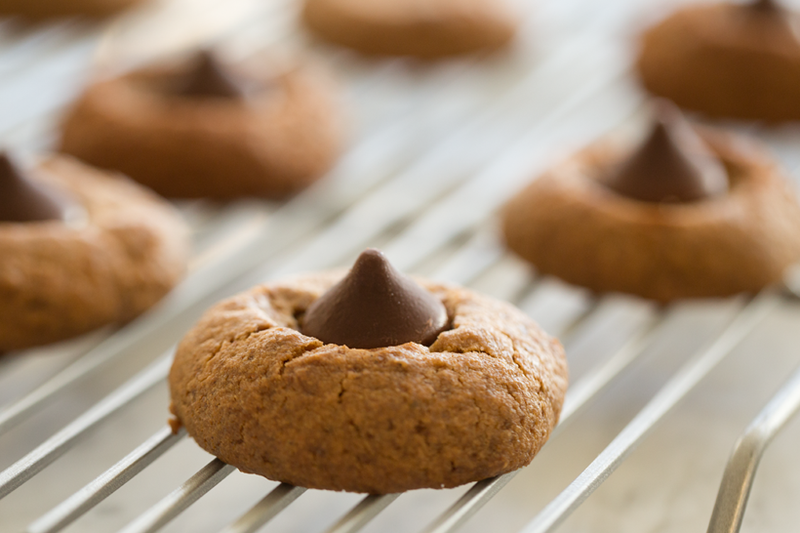 Making the Kisses: You want to make the chocolate kisses about 30-60 minutes before starting your cookies. You want the chocolate to be completely frozen and cooled when you use them. 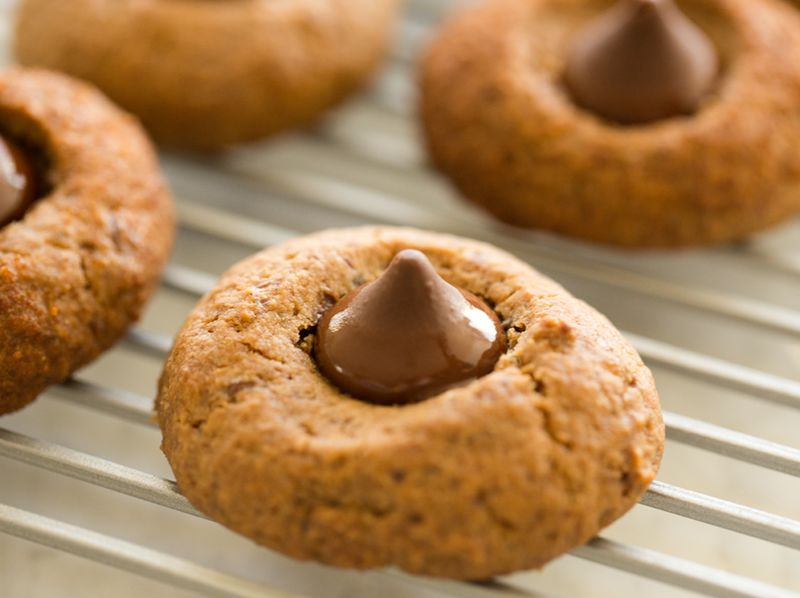 You will need one "kiss" candy mold and 1/2 cup melted chocolate mixture. Melt 1/2 cup vegan chocolate chips or chunks + 1 Tbsp coconut oil over a double broiler on your stove. Then using a tiny spoon, add the chocolate to the candy mold. Place the mold in your freezer to harden the kisses. The kisses should be fully chilled in 15-20 minutes. 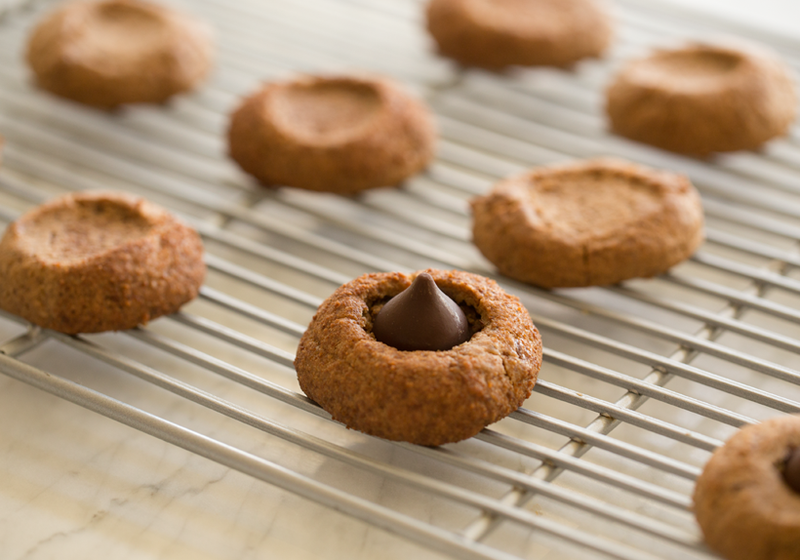 Press the hardened kisses out of the mold and use them to top the cookies. Christmas Cookie Call! 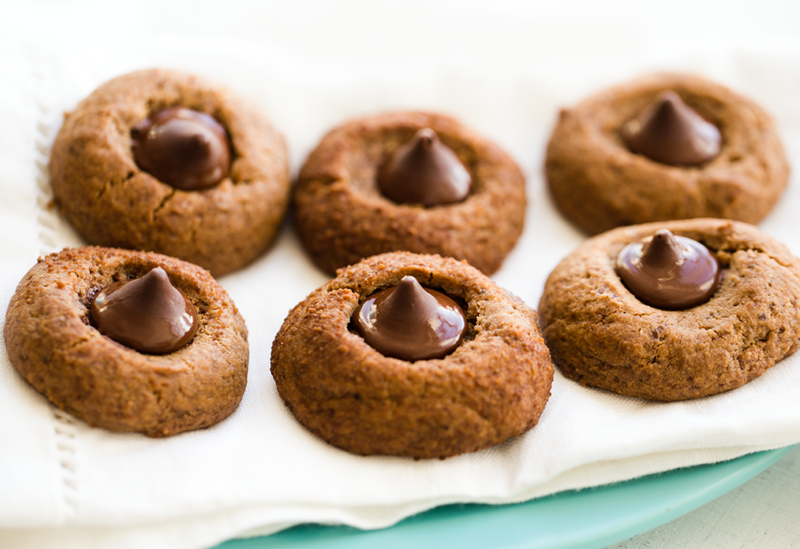 Let me know in the comments what your favorite holiday cookie is and I might choose one or a few of those recipes to make. 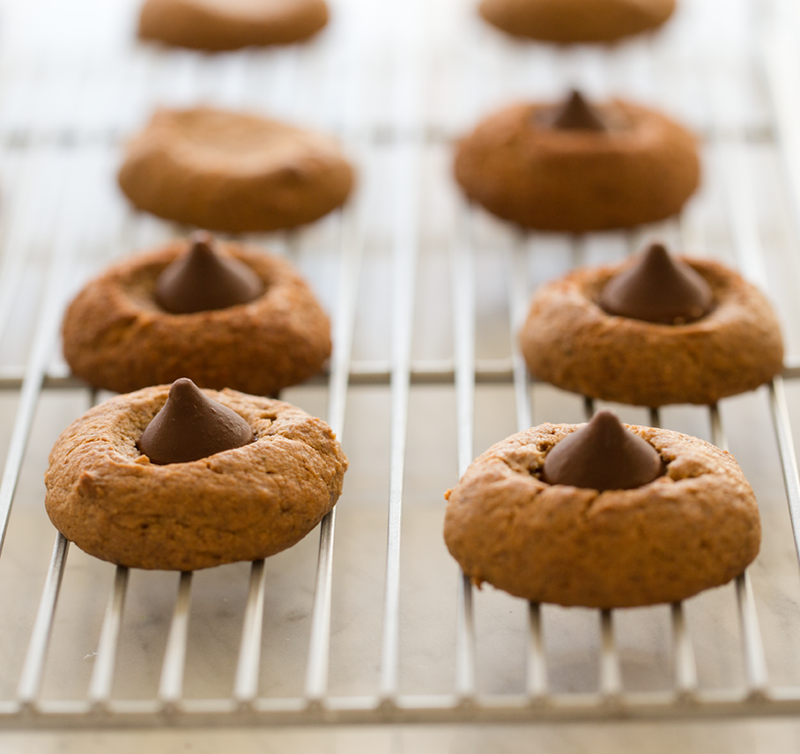 I am happy to veganize a classicly "non vegan" cookie recipe too, like I did with today's cookie.